Education & Awareness is the main purpose of the Anthony Bates Foundation. There is a wide bridge between wisdom gained from parents that have lost a child to Sudden Cardiac Arrest and the knowledge of medical professionals. Our goal in this section is to share our wisdom to bridge the gap! Medical Volunteers are encouraged to watch this short video on providing EKG Screening tests with the CardeaScreen equipment we use at our ABF screening events. Parent Heart Watch (PHW) has become the Nation Voice of Protecting Youth from Sudden Cardiac Arrest. The organization was formed by parents to protect children and supported by medical professionals nationwide. At the 10th Anniversary meeting, Sharon Bates was able to share the Key note address to the meeting & expresses a deep honor and privilege to be a co-founder of this organization and encourages all medical professionals of ABF to support the efforts of PHW. During this conference, the doctors of University of Washington presented new tools to assist medical professionals on the need for standards in Cardiac Screening youth. These new tools include the “Seattle Criteria” (pdf in link below) and the FREE training module for ECG interpretation in Athletes. ABF had the opportunity to present 5 Abstract posters on the Cardiac Screening Program: “Repeat Echo Abstract”; “Socio-Economic Status”; “Teenage Symptom Correlation”; “MVP and Symptom”; and “Early Repolarization with Age & African American” abstracts. Our connection to the Italian doctors has been a wonderful way to network with the American doctors. ABF continues to support the works of research and Cardiac Screening for all youth. and Community Screening Training Program of the Anthony Bates Foundation. "Prevalence of suspected hypertrophic cardiomyopathy or left ventricular hypertrophy based on race and gender in teenagers using screening echocardiography." Lunch with Sharon Bates at Banner Good Samaritan Banner Good Samaritan Medical Center in Phoenix continues to provide the ABF with a forum to educate their employees about Sudden Cardiac Arrest/Hypertrophic Cardiomyopathy in youth, and its prevention. Sharon Bates will make a presentation at the October 2010 Employee Lunch/Learn session to Department of Cardiology courtesy of Eleanor Glass, ABF long time volunteer. 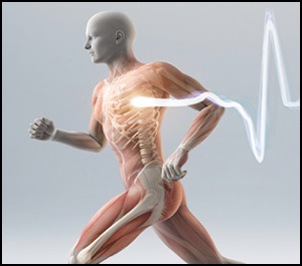 In 2009 Stanford University hosted a conference on "Athletes Heart & Sudden Death by HCM." Sharon Bates has been attending the USA conferences since 2002 and this was the first conference where Ms. Bates heard from a presenting cardiologists proclamation, "We need to be doing better screenings to protect athletes & children from SCA in this country. Doing nothing isn't good enough." Sharon Bates has had ten years of immersion as it relates to the cardiac condition known as Hypertrophic Cardiomyopathy, HCM. In 2008 while in Italy, Sharon heard Dr. Arbustini, Florence, Italy state, "Medical school & specialty school students are lucky to have 1 hour of cardiomyopathy training and barely have a genetic subject." This made an impression on her to share what she learns with doctors and medical professionals everywhere.